Please note: We are going to push out our date AGAIN! I am going to be building some PR for the event, and will schedule the event once we have 100 people sign up. This is all on me, Paul Snow. I have had a quite a bit of work dumped into my life, and I do want to do the best demonstration of Bitcoin possible. We want to call attention to the frictionless power of Bitcoin. And we want to demonstrate the power of being able to quickly mobilize funds to meet an urgent need. And we want to put a spotlight on those people willing to do good. Please note also: If you will subscribe, then you will get these notices. You will get more information about the next event. And make contacts with other Bitcoin users around the world. Passing Bitcoin Around The World is first and foremost a Financial Relay. We start in Austin Texas with 0.1 Bitcoin, and we pass it from one participant to the next. The last Participant sends it to our featured Non-Profit (Fr33 Aid). So Why do We Need You? We need 100 participants or more. We want to pass this 0.1 Bitcoin from one participant, who waits for a confirmation then sends it to the next. So we need participants. That’s why we need you! How then is money raised for charities? Everyone provides 0.1 bitcoin as a deposit. You sign up, we send you a deposit addrss. You can deposit 0.1 bitcoin. Or more. You specify what we should do. Return the Bitcoin to you, the participant? Send it to the Featured Charity? Or to one of the others on our list? You tell us what to do. And you get to audit us in real time to insure we are honest! That’s how this is a demonstration of Bitcoin as a Force for Good to mobilize funds in the face of an urgent need. Sign up for our next Passing Bitcoin event! We really need you to make this event occur! (city/state/province/country). 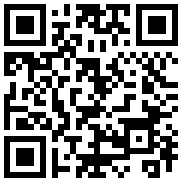 In the message body, please provide the Event Bitcoin Address you will use for your event. (for most people, you should create a new wallet with one address, and fund it with the transfer fee of .0001 BTC) Also include a percentage to refund to your Event Bitcoin Address, and a percentage to donate to Fr33 Aid. and/or donate it per your instructions after your turn. Be part of this life changing event as it happens in real time. Your privacy is important to us! We do not share your information with anyone. PassingBitcoin.com is a demonstration hosted by the Texas Bitcoin Association. Paul Snow (a.k.a AlanX) first designed and executed the first Passing Bitcoin Around The World with the help of Reddit users in 2013, and again in October of 2013. The Texas Bitcoin Association is putting on the Texas Bitcoin Conference on March 5-6, 2014, where the results of Passing Bitcoin will be presented. The next Passing Bitcoin Around the World will be on February 8th. The first and second Passing Bitcoin events were run through Reddit. And while Reddit is a powerful tool for organizing responses, it also has the attention span of a gnat. 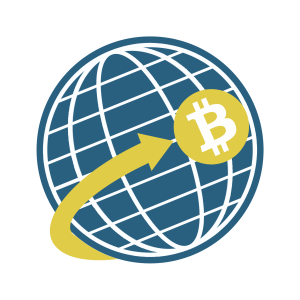 So the next event will be organized primarily through the world wide Bitcoin meetup groups. Donate to get involved now. We look forward to making a positive change with you. With so many ways to get involved there’s something for everyone. Please continue to recomend us to your favorite charity, tell friends about our events, come to bitcoin conferences to meet us and let’s all keep helping the needy in a visible and positive way. Passing Bitcoin Chat … We are almost there!